Adriana Brad Schanen lives in Montclair, New Jersey, with her husband and two very, very, extra-very lively daughters, and a shaggy 60-pound lap dog named Oliver. 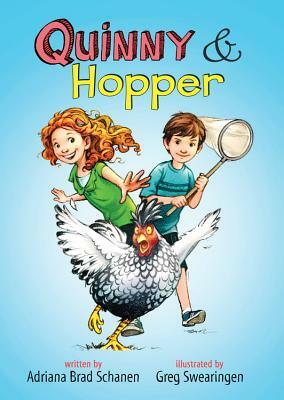 Quinny & Hopper is her first children's book. Visit her online at adrianabradschanen.com.